Jupiter Beach, Florida is a fantastic place to go and recharge, with plenty of leisurely activities and beautiful beaches. 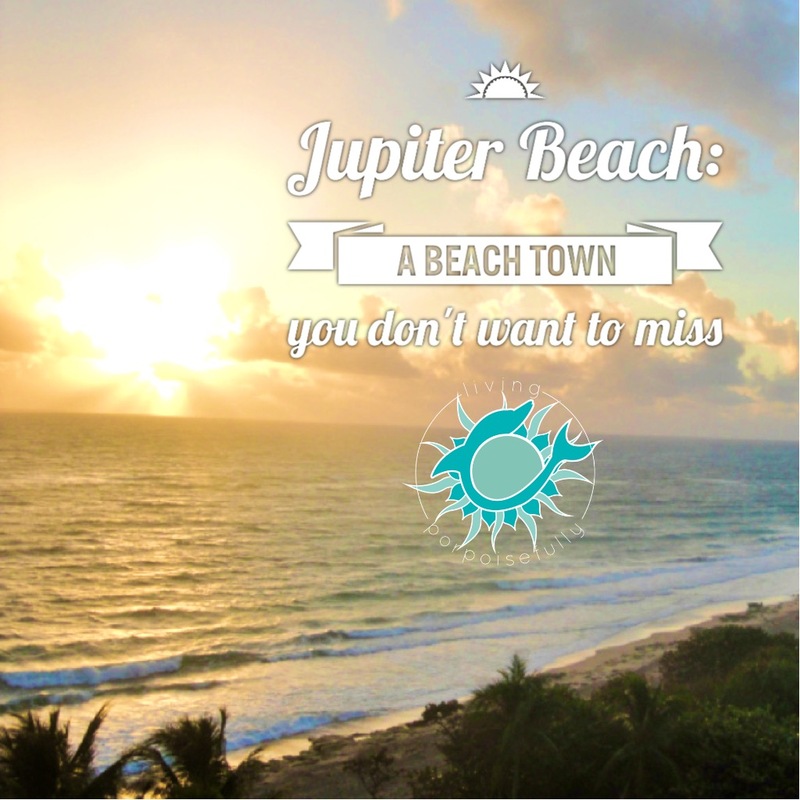 One of our favorite places of all time to visit is Jupiter Beach — in South Florida just a few miles north of Juno Beach. It’s a fabulous place to visit all year round, but especially during the winter with its perfectly warm-but-not-too-warm climate. Jupiter Beach boasts breathtaking beach views that will take your worries away, plenty of leisurely options for things to do, and excellent restaurants to enjoy a culinary treat. So here are some of our tips about where to stay and what to be sure to see! When visiting here, we love to stay at the Jupiter Beach resort, especially during the winter holidays. It has such a quiet charm that time of the year and is in the ideal location right on the beach. Oh, and their coastal holiday Christmas trees are right up our alley! 1. Check out the Loggerhead Marine Life Center for dozens of tanks with rehabilitating sea turtles. It’s such a great way to see these majestic animals up close, and learn about them from the amazing volunteers. The volunteers take the time to talk to you about each turtle’s story and when they will be set back free into the deep blue ocean. We’ve seen green sea turtles and loggerheads; baby turtles, adolescents and full grown behemoths. Also, if you are visiting in June or July – don’t pass up the opportunity to do a “turtle walk.” Getting to experience these wild sea turtles at night, watching their nesting and egg-laying, is truly a memorable event. 2. Walk the beach. Of course, this one has to be a given on the list! The beach by the Jupiter Beach Resort is a great mix of sand, rocks, and clear, aqua ocean. There are parts where soft sand spans for the entire length of the beach, while other parts have smooth rocks peering above the crashing ocean waves. Your seashell collecting luck will vary, depending on whether a recent storm has brought any treasures. We were stunned to see thousands of seashells on the beach one day, when just the day before there were very few! We loved digging through the seashell troves to see what treasures we could find. The best discoveries: shark’s teeth, moon snails, and olive shells. 3. Kayak in Jupiter Inlet. We used the Jupiter Outdoor Center as our guides and they did not disappoint. They lead you to hidden mangrove sanctuaries and beautiful tropical scenery. During our last trip, we got to paddle alongside a curious manatee! There are very few better ways to soak in the view of the Jupiter lighthouse than out on a kayak! 4. Take a tour of the Jupiter Lighthouse. We climbed the stairs to the lighthouse and got a beautiful aerial view. It was neat to get a bit of the history behind the lighthouse and a sense of what life was like way back then. 5. Be a kid and play mini-golf at Lighthouse Cove Adventure Golf. The charming sea-themed course was so fun! Dolphins, a replica of the Jupiter Lighthouse, water features, and lots of palm trees made for a mini-golfer’s paradise. Of course, there’s as much shopping as you could want nearby, and all sorts of local restaurants to try. With so much to do, stunning scenery, and beautiful beaches, Jupiter and the nearby Juno Beach rank high on our must-see list. They are the perfect getaway for winter travels especially, but we’d take a visit there any time of year. Live porpoisefully! Previous Post Dive Deeper: Who is Zale?